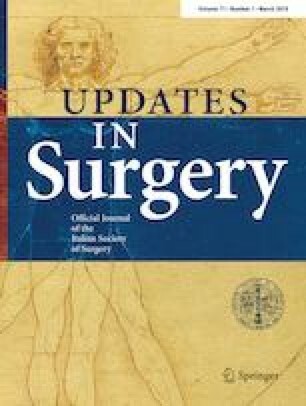 In the literature, there is a large evidence against the use of drains in laparoscopic cholecystectomy (LC) in elective surgery. However, evidence is lacking in the setting of acute cholecystitis (AC). The present meta-analysis was performed to assess the role of drains to reduce complications and improve recovery in LC for AC. An electronic search of the MEDLINE, Science Citation Index Expanded, SpringerLink, Scopus, and Cochrane Library database from January 1990 to July 2018 was performed to identify randomized clinical trials (RCTs) that compare prophylactic drainage with no drainage in LC for AC. Odds ratio (OR) with confidence interval (CI) for qualitative variables and mean difference (MD) with CI for continuous variables were calculated. Three RCTs were included in the meta-analysis, involving 382 patients randomized to drain (188) versus no drain (194). Morbidity was similar in both the study groups (OR 1.23; 95% CI 0.55–2.76; p = 0.61) as well as wound infection rate (OR 1.98; 95% CI 0.53–7.40; p = 0.31) and abdominal abscess rate (OR 0.62; 95% CI 0.08–4.71; p = 0.31). Abdominal pain 24 h after surgery was less severe in the no drain group (MD 0.80; 95% CI 0.46–1.14; p < 0.000). A significant difference in favor of the no drain group was found in the postoperative hospital stay (MD 1.05; 95% CI 0.87–1.22; p < 0.000). No significant difference was present with respect to postoperative fluid collection in the subhepatic area and operative time. The present study shows that prophylactic drain placement is useless to reduce complications in LC performed to treat AC. Postoperative recovery is improved if drain is not present. The authors thank Dr. Federico Ottaviani for copy-editing the manuscript. The authors declare that they have no conflict of interest. The authors declare that no foundations are involved in the study. All procedures performed in studies involving human participants were in accordance with ethical standards of the institutional and/or national research committee and with the 1964 Helsinki declaration and its later amendments or comparable ethical standards.